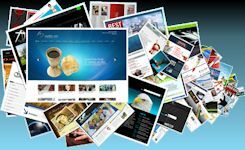 Here at BattleInk.net, we offer full website maintenance, web design, overhaul design, custom website design, web programming and graphic design. If you found us because you are in need of Web Design services, you can continue to read more about what we have to offer, or go right to our Contact Page. BattleInk Web Designs is located in Union County, New Jersey, operating from a home office, we do not have a store location open to the public. However, if you are local, and would like to make an appointment, please visit our 'Contact Page' to get in touch with G. Gordon if you are looking for information before you contact us, we have a Table of Contents after a brief description. If you are looking for graphic, web design or programming, please use the form or information on our 'Contact Page' to request an estimate or inquire about our services. Regarding our content below, the Web Design section will bring you to another page on this website that thoroughly describes our web services and how we work. We have been in business, in this area, for more than 5 years and are always honest and as courteous as possible. We always take responsibility for our work and we feel a happy customer is the only customer. Our 'Design Page' explains all the services that we provide, as far as artistic, graphic design and online services. Below are the two choices you can make, depending on the services you are interested in. Our 'Web Design' page gives a very detailed description of the services we provide, including links to actual websites we have made. Below are some links to sections that further describe certain services we offer. When it comes to Web Design we are fast, efficient, and our rates are more than fair. The quality of our work is never compromised by budget amount and we work with you, the Client, until you are 100% satisfied. 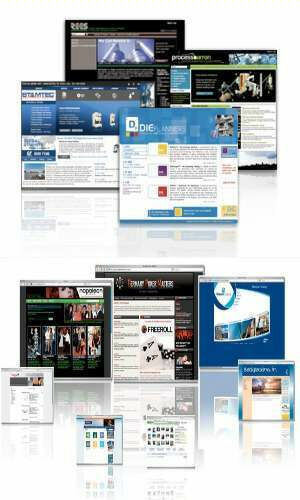 G. Gordon is a freelance Web Designer who can be hired by one person or companies looking to out-source. 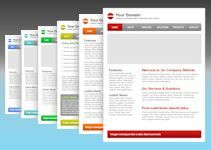 We don't use templates that are used multiple times for many different clients. We make completely custom websites, mobile websites, flash files/animations, custom graphic design, logos, file storage, system back-ups, site tracking and statistics analysis, to help bring more traffic to your website. Read more on our Web Design Site, or contact us to talk about your project and we will tell you the best way to complete it to your satisfaction while keeping your costs down. 1) The first thing we will do is try to get an idea of your website the way you see it. We will talk to you about the subject of the website, any color scheme you might have in mind and figure out a way to illustrate your ideas. We will develop a plan to build you a perfect, custom made website that you will own and register it in your name. 2) If you don't have a domain name in mind, we can help you pick one, we can register it for you and go over what is available and any necessary alternatives. For $12.95 your domain name will be registered for 1 year, which we can manage and renew for you always on time. We will register your Hosting Plan as well. Included in the price of the hosting plan you will receive the availability of up to 10 sub-domains and an unlimited amount of personalized email accounts, unlimited bandwidth and the option of unlimited webpages. 3) We provide FREE content editing for spelling, vocabulary and grammatical errors. We will build and name each page of your website and edit the content you provide us for no charge. We always say, "If you look bad, we look bad. ", and we do not publish websites with careless errors. We want your website to look its best, ultimately it is a reflection on us. We will help break up your content into individual pages with correlating content on your homepage, resulting in a user-friendly website. We also offer packages that include mobile websites for PC's, tablets and smart phones. It is a little more expensive to cater to all three, but with mobile users steadily on the rise we would be irresponsible not to offer it and it could be damaging for you not to provide mobile-friendly content. Our mobile friendly websites are programmed to work on devices and browsers of all types, not just iPhones or Android, but all of them. 4) SEO - We will do a great extent of keyword research for your website before it is launched. This is necessary to determine whether people are searching for topics that are relevant to your site, as well as what people are searching for in order to make your site relevant, and can be useful for learning more about your target market. Making a conscious effort to incorporate in-demand keywords, and key phrases, into the site can also help you get a better search engine ranking. 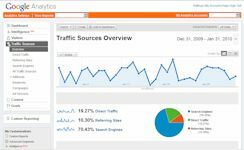 We will also provide you with a Google Analytics account, which is a web traffic tracking tool Google provides for free, but we will integrate it into your website for tracking and analysis which will help any and all marketing campaigns. It could also be used to check in and see how many people are visiting your website. 5) We will develop the necessary images needed for your website, whether we procure them or make them from scratch. If you have your own photos, for a gallery or display, we can build you amazing galleries that work on all browsers. 6) After all your pages are built and integrated, we will publish your site and go over it with you to fix up all the last minute things that need changing. Reliable, results-producing Web Designer with a proven record of accomplishments in designing, coding, and statistics analysis in support of business goals and objectives. Expertise in directing the creation of custom website coding and steering the execution of site production. I can install tracking systems into websites, by compiling data from fiscally equal time periods, I can determine and make the necessary adjustments in order to increase traffic thus increasing revenue. Projecting growth in targeted markets through implementation of provided analysis. Designing various projects, or re-designing web pages and statistics tracking. Developed and managed a wide range of website content for various businesses such as, a medical marketing firm-'Physicians Consulting Group, LLC', an interior designer-'Sherri Bender Interiors', and audio/video production. Tracked, projected, and reported both statistics and circulation-based marketing programs. Maintained communication with management to ensure marketing activities aligned with business goals. I have experience with designing and producing web-based images as well as graphics for print applications. Over the years I have created images used for things such as: websites, t-shirts, postage stamps, DVD's and DVD covers, logos, CD covers both front and back, and hand drawn custom art.